Over the course of ten days, from 21st to 30th October, music will fill the churches of Funchal, Machico and Porto da Cruz, making use of the heritage of historical organs restored over recent years, honouring it and demonstrating the richness and the particularities of each organ with musical programmes of great diversity. 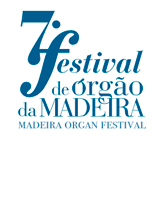 The seventh edition of the Madeira Organ Festival is not an exception; rather, it confirms the importance of the programming of this series of cultural events in the Autonomous Region of Madeira and the pertinence of this programme in the consolidation of a cultural manifestation both varied and of the highest quality. The continuous organization of events of this kind has allowed the formation of faithful audiences, both residents and visitors, creating on the part of the Madeiran community a greater identification with, and commitment to, its heritage and culture. This year, this effort has been increased by the the creation of a new programme specifically for children, in order to stimulate understanding of and curiosity about the organ, by means of the narration of a story accompanied by organ improvisations. There is also an exhibition on the organs of Madeira, which beautifully illustrates the richness and diversity of this restored heritage, as well as the investment made in the building of new organs, specifically the great organ of the Church of São João Evangelista and the new organ of the Cathedral, still under construction, both signed by Dinarte Machado. Music has no boundaries, either physical or temporal. And the organ, though fixed in space, comes to meet us, across different times and places, inviting us to discover a true ocean of sounds, with cultural dialogues across different musical geographies, from Rome to Leipzig, to the music of the monasteries of the Spanish baroque, to contrasting musical worlds united by the same instrument. 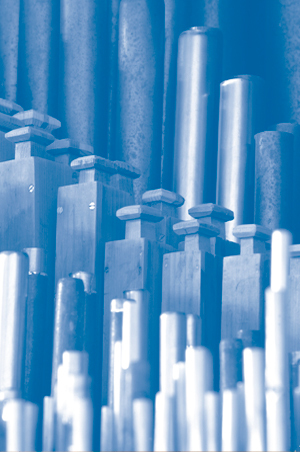 Unlike earlier editions partly supported by funds from the European Union, the 2016 edition of the Madeira Organ Festival is entirely produced by the Regional Cultural Department, financed entirely from the Regional Budget. The programming, production and setting up of these concerts was only possible thanks to the dedication and professionalism of the staff of the Department, the readiness of the Diocese of Funchal and the churches involved and the dedication of the artistic director of the Festival, Dr. João Vaz, to whom I offer special thanks for all his efforts and dedication to this project. The churches of Madeira open their doors once again, so that the public may the enjoy the sound of their organs. With a variety of organs, which include instruments of 18th century Portuguese manufacture (Igreja Matriz de Machico, Igreja de São João Evangelista (Colégio) and the Monasteries of Santa Clara and Bom Jesus in Funchal), organs imported from England during the course of the 19th century (Cathedral, Churches of São Pedro and São Martinho in Funchal and the Igreja Matriz in Porto da Cruz) and a new instrument built in 2008 for the Igreja do Colégio in Funchal, Madeira allows for the performance of a vast repertoire. As in past years, the programme of this edition of the Madeira Organ Festival aims to present various facets of the instrument. Solo recitals with varied repertoires, emphasizing the music of Bach, Sweelinck and Cabezón, will be given by Ludger Lohmann, Albrecht Koch, Frank van Wijk and Jesús Gonzálo López. Of the other concerts, which include the organ in various instrumental and vocal groups, notable are the programme of Mozart’s Church Sonatas, by the organist Tiago Ferreira and the Madeira Classical Orchestra, under the direction of Norberto Gomes, at the Cathedral of Funchal, and the Messe solennelle by Vierne for choir and two organs, by the Madeira Chamber Choir, directed by Zélia Gomes, in the Igreja do Colégio. Baritone Armando Possante, the cornettist Tiago Simas Freire and the ensemble Capella Patriarchal participate in programmes dedicated respectively to German romanticism, 17th century instrumental music and late 16th century Portuguese polyphony. Something new in the present edition of the Madeira Organ Festival is the inclusion of a programme for children, conceived and performed by the young organist Inês Machado, with the collaboration of the narrator Sofia Maul. An exhibition dedicated to the organs of Madeira will allow the public to come to know a little better this heritage which, thanks to a consistent policy of restoration developed over two decades, has, since 2010, allowed the Madeira Organ Festival to take place, becoming one of the most important events of its kind in the country.